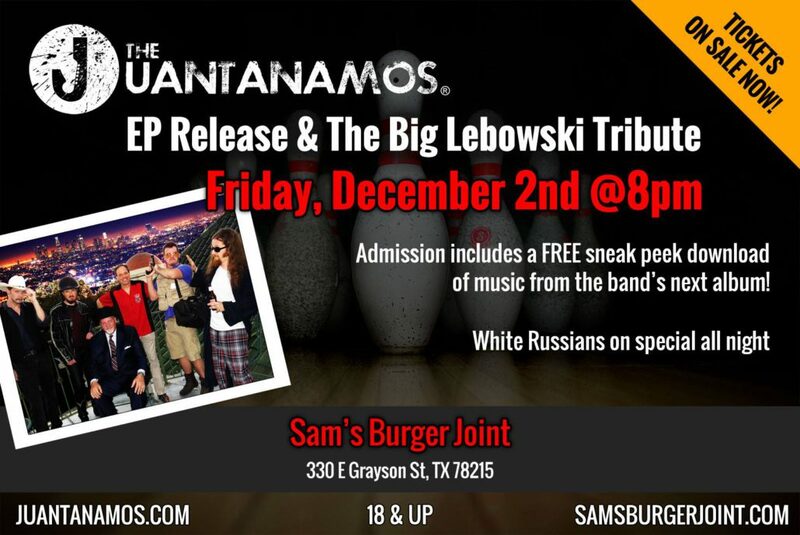 Don’t miss our tribute to The Big Lebowski and your chance to download a FREE sneak peek of music from our next album! Tickets on sale now. Grab a White Russian and pull up a rug. The Juantanamos abide!